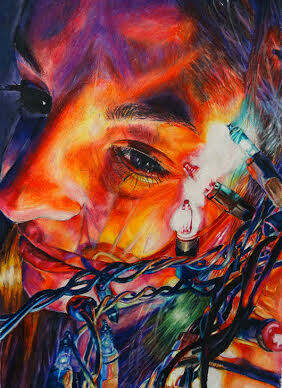 The weekend of March 3rd, the regional level of judging for The Ohio Governor’s Youth Art Exhibition, took place. The Exhibition, now in its forty-eighth year, is dedicated to the educational and artistic advancement of our talented young people in the state of Ohio. The exhibition is open to all of Ohio’s 1,112 high schools, both public and private, chartered by the State of Ohio Department of Education. The exhibition is a valuable incentive for our young people; it encourages an appreciation for the arts throughout Ohio and reflects the fine quality of art instruction and talent which exist in our state. Kara Heckmuller "Ready for the Ball"